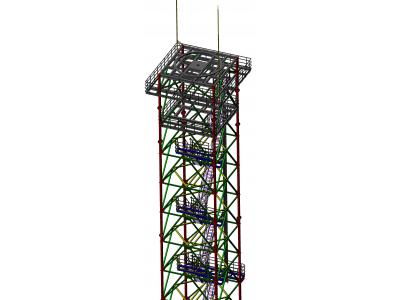 Working documentation brand KMD all metal tower DMRL was developed based on the brand of KM drawings. 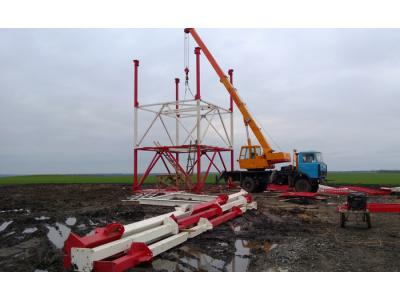 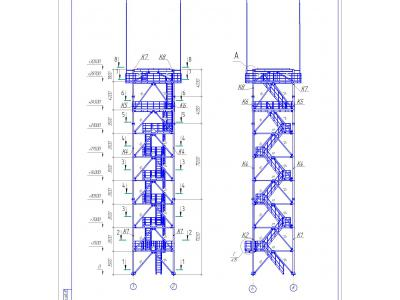 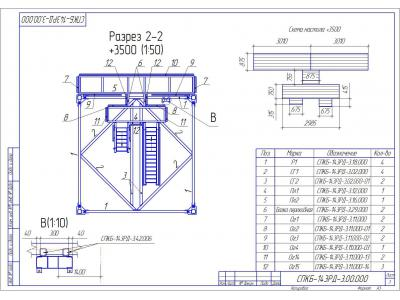 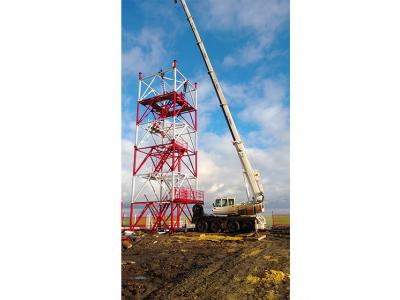 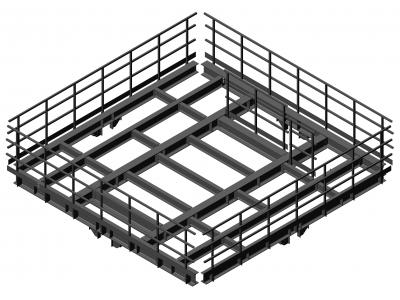 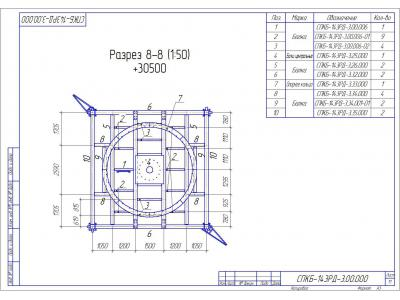 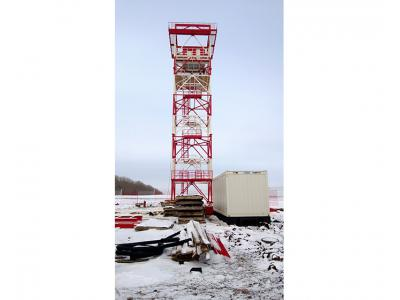 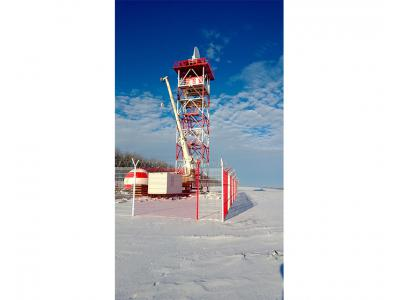 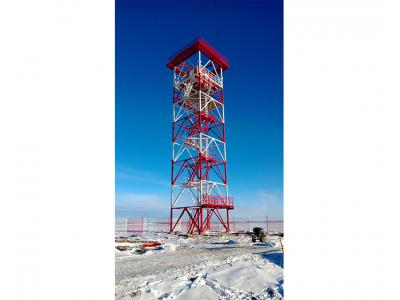 Metall frame towers are engineering structure, consisting of one zone. 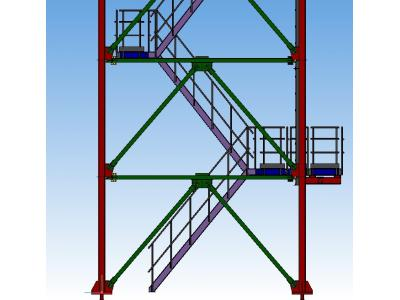 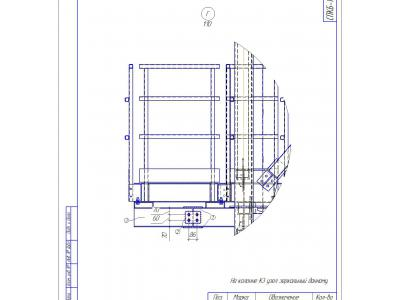 - height - 30.5 m.
design Weight - 44 m.
Geometric immutability frame in the transverse and longitudinal directions is ensured columns, the vertical and horizontal linkages. 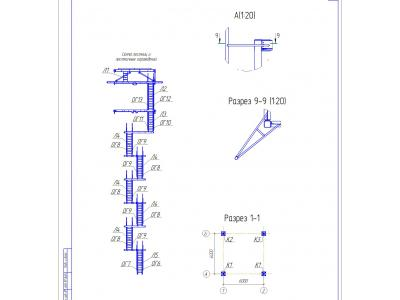 Class structures of responsibility - II. 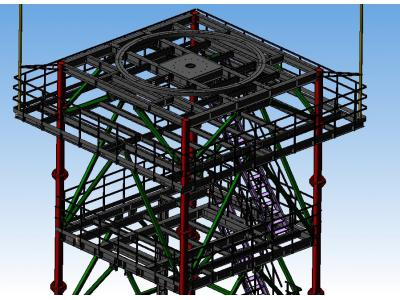 Steels bearing metal elements taken from the type of construction, with the design temperature - -42 ° C.